Throughout your week, take note of how many plastic straws you use. Do you use one when you go to eat at a restaurant, or when you buy an iced coffee? Is it possible you use plastic straws at home? If you use so much as one plastic straw in the next week, you could make one small change in your life to contribute to a drastic change in the environment. Made from petroleum, plastics are made into thermoplastics and thermosets (McGehee). Thermoplastics can be recycled and include items such as soft drink and water bottles, shampoo bottles, and shopping bags. These can be identified by locating the recycling symbol with either a “1”, “2”, “3”, or “4” label. 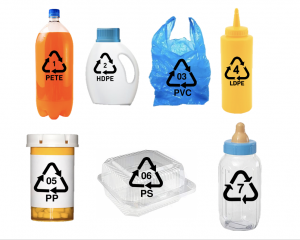 These correspond to polyethylene terephthalate (PETE), high-density polyethylene (HDPE), polyvinyl chloride (PVC), and low-density polyethylene (LDPE), respectively. Thermosets include items such as liner in cereal boxes, styrofoam egg cartons, and baby bottles. 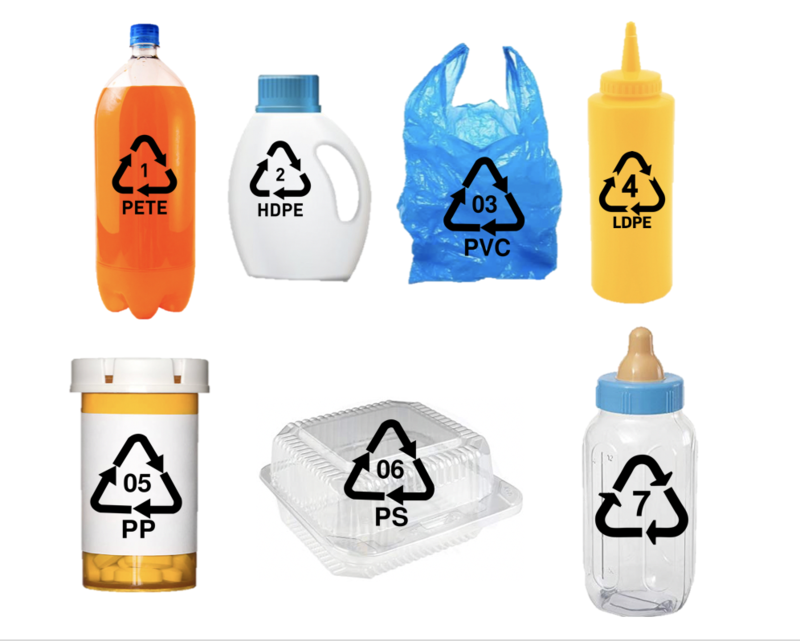 These are identified with the recycling symbol containing a “5”, “6’”, or “7” which correspond to polypropylene (PP), polystyrene (PS), and other. Thermosets cannot be recycled because they would scorch in attempt to reheat and remold the plastic (Cowan). Plastic straws are usually a polypropylene – they can’t be recycled. Additionally, over 500 million plastic straws are used by Americans daily, they are the 11th most found ocean trash, and it can take a plastic straw up to 200 years to fully decompose (Hugh). Because they are on the smaller side of non-recyclable plastics, they can do more harm: “The smaller those pieces get, the more places they can go” (Science News for Students). As these plastics become smaller and smaller, they become what it known as “microplastics”, making them more likely for marine life to ingest. In a recent study, it was found that zooplankton, that had swallowed plastic in algae, laid smaller eggs that were less likely to hatch (Science News for Students). If we do not start cleaning up our act, there will be more plastic than fish in the ocean by 2050. Although that may sound futuristic, it is just over a few decades! If the environment isn’t important enough, plastic straws also have a negative effect on you – they cause bloating, cavities, ingesting chemicals, wrinkles, and excess sugar and alcohol consumption (Perspective). Now that you’re convinced, how do we fix this problem? There’s an obvious solution: simply stop using straws. Although this may not affect you directly, there are people who have no choice but to use straws due to medical reasons. And, of course, some people simply prefer to use straws. Therefore, the absence of straws is not necessarily the best option for the majority. What about compostable straws? Although there is a good intention behind the creation of these, there is still the issue of whether people correctly compost the straws – unfortunately, this is not the best solution either. So, what is? Buy a metal straw (or multiple)! They can be found online for only a few dollars, and typically come with a straw cleaner. They are a great alternative to typical plastic straw – they’re reusable, they protect our environment, and they prevent ingestion of chemicals (although, you may still end up with wrinkles). Go plastic straw-less today to protect our home!